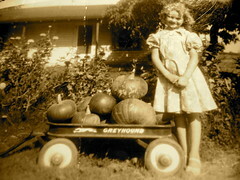 Growing up in the rural tranquillity of Modesto, California in the 50s had its rewards. I enjoyed our vegetable garden but best of all we had chickens. A small wooden chicken coop sat out back. To make cleanup easier the floor of the coop was covered with a layer of straw. A few feet off the ground was a shelf of nesting boxes. The drinking dispenser consisted of a metal base on to which a mason jar was screwed, permitting the water to seep out at the bases lip. The chickens were free to move out of the coop to roam the yard to peck, and hunt for insects. Some days my mom would ask me to feed them. Grabbing a hand full of feed from a small pail I would call out, “Here chick – chick – chick.” I miss those fresh eggs. Nowadays, in these times of mass egg production, some chickens are cruelly confined to cages. In order to bring attention to the plight of the caged chickens, it is rumored that, ‘free the chicken advocates’ will themselves be climbing into cages this afternoon. Where: Lunardi’s Supermarket, 4650 Meridian Ave, San Jose. When: 4pm to 5pm this afternoon. Nice to see your cute picture. Coincidentally, there was a post on the same topic on Bangalore Metblog. my wife recently purchased a foster farm whole chicken at a local super market. she came home to prepare dinner and as she begin to clean the chicken the head along with its neck popped out and freaked my wife almost to death. apparently someone at foster farm decided to chop the chicken’s head off and stuffed it back inside of the body.